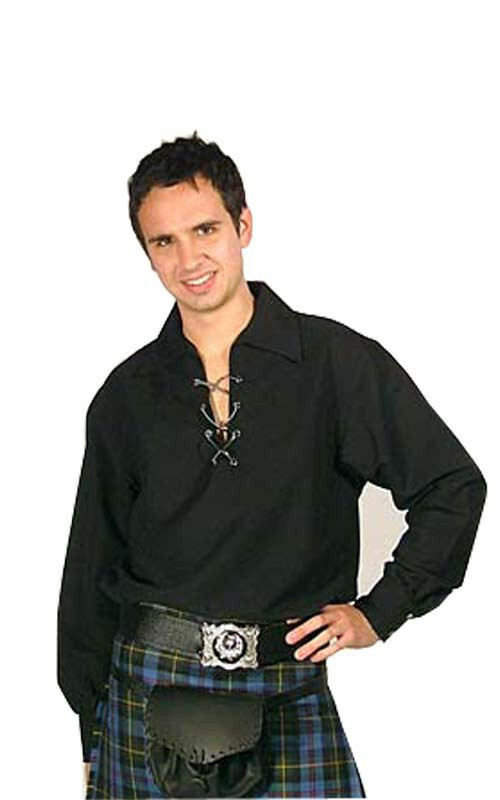 This black Jacobite shirt is a classic that will complete any kilt outfit. 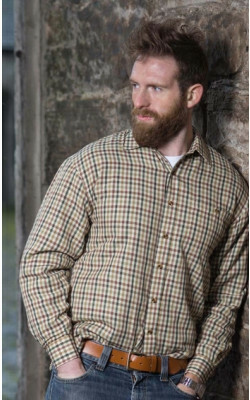 Top quality Jacobite shirt (sometimes called a ghillie shirt, or jacobean shirt) is easy to wash and iron, with colour matching rust-proof eyelets, and fully finished thick real leather tie. 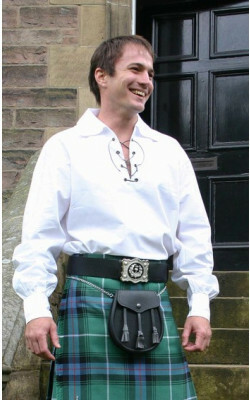 Jacobite shirts are designed to be loose-fitting and very comfortable.